As Christmas approaches, homes and stores begin to be fill with decorations of Santa and his helpers. This year, Akron has dug into its past and found something truly unique, a tiny ceramic blue Santa. Following the 2002 excavation of excavation of Lock 3 in Downtown Akron, thousand of marbles, animal shapes, jugs, thimbles and many more items were unearthed that are more than a century old. Included in the findings were five Santa Clause dolls; however, the dolls were not red and some of them were even painted blue. These ornaments are believed to be some of the first Santa's to be mass-produced. 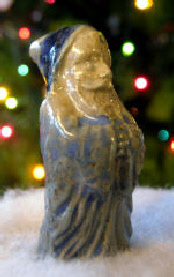 Michael Cohill, the director of the American Toy Marble Museum in Akron, said the blue glazed Santa dates around the mid 1890s and is a product of the American Marble and Toy Manufacturing Co. once in Akron. Cohill said he is not exactly sure why the Santa has a blue glaze but the glaze used to coat Santa was a tradition brought over from Germany. Also, at the time there was no red glaze and the only colors available consisted of blue, brown, greenish blue and a yellowish color. Cohill also said the color blue coating the ornaments is unique. 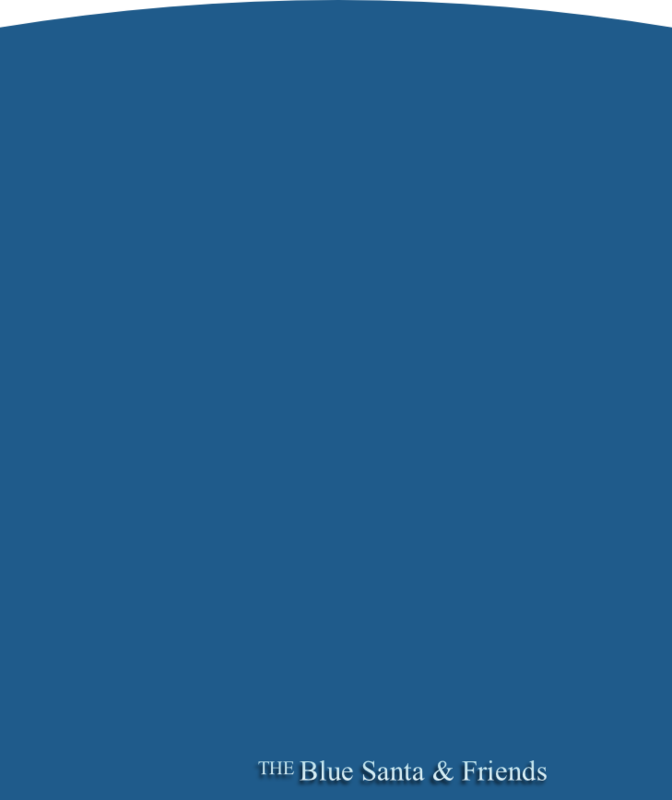 He said when they tried to reproduce the blue colored glazing they had problems doing so. The exact color blue from the 1890s was made differently than the way glazing is made today. According to the American Toy & Marble Museum, the next appearance of a Santa figure did not come until the 1910s. The importance of the Santa dolls is derived from the past. In 1884 Samuel Dyke founded the American Marble and Toy Manufacturing Co. in Akron. It was the first marble factory and considered the largest in the world at the time. "Dyke was truly the founder of the American toy industry, and whose factory operated on Center Street at Lock 3 for 20 years until it burned down in 1904," said Dave Lieberth, chief of staff to Mayor Don Plusquellic. In 2002 Akron began excavation work to open up views of the Ohio-Erie canal downtown. They then discovered thousands of century-old artifacts buried in the ground. Only two of the Santa figures remained completely intact from the excavation and are now on display at the history exhibit at Lock 3. Cohill said he is proud of the Santa dolls' heritage rooted in Akron. 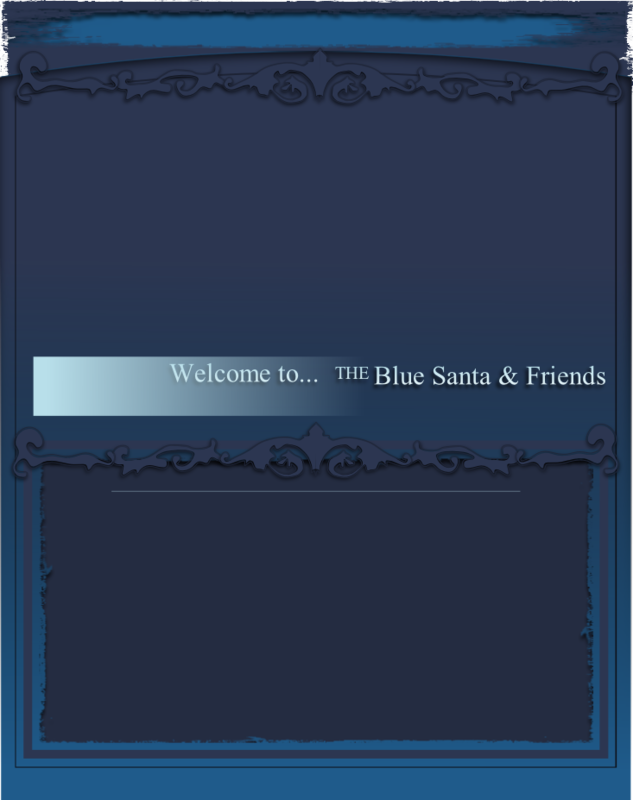 "We, as people, can claim the blue Santa as ours," he said. According to Cohill, it wasn't until 1931 that a Coca-Cola advertisement showed Santa as the jolly old man in a big red coat and cemented the most popular image of Santa in our minds. A University of Akron volunteer at the Toy Exhibit, Casey Berenyi, said that his grandmother also has a blue Santa, however hers appears to be saint-like. Cohill said he hopes the blue doll gives Akron a name. "I hope 50 years from now people recognize the blue Santa as who we are," Cohill said.